To be honest…“Sea beaches are the most attractive place for me as I am born along the sea coast and every beach has its own beauty“. Seas are the water bodies comprising of 2/3rd of the Earth 🌏 surface and 70% of our body mass is made of water so there is a natural relation between sea & human life. 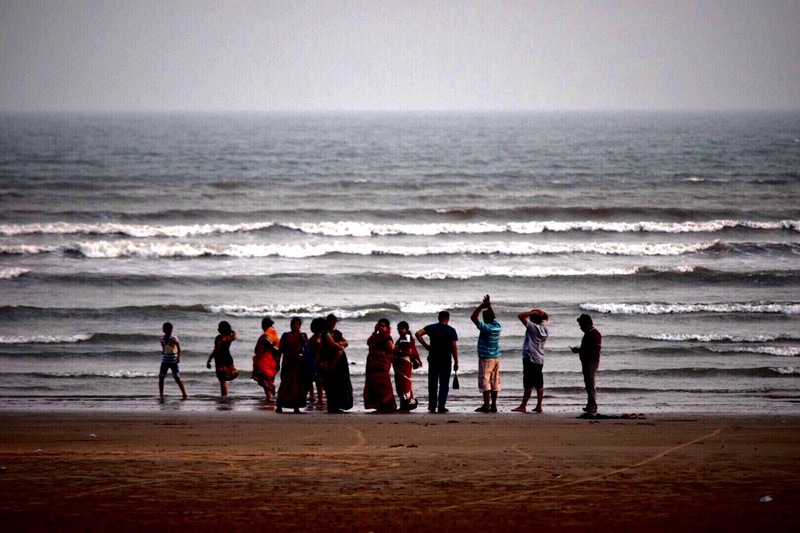 “Dogra sea beach”is unique in many ways & its newly emerging travel destination for tourists mostly from adjoining state West Bengal as it is quite well connected through rail and road from Kolkata the capital of WB. 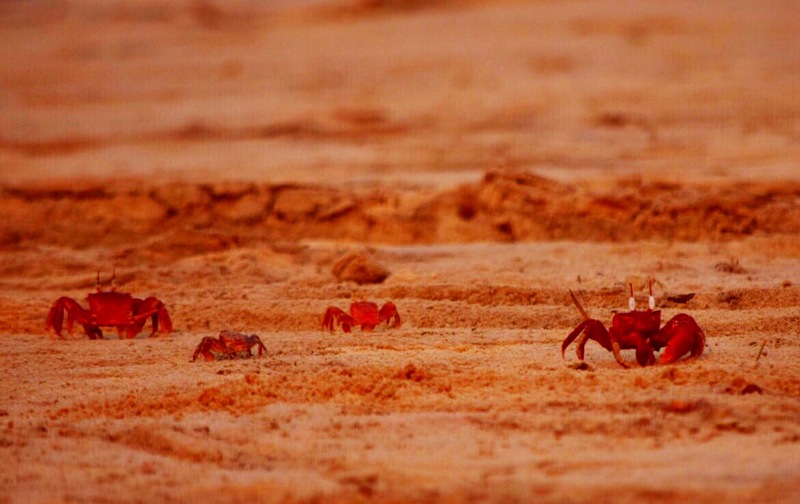 It is the only #virgin sea beach in Odisha where millions of #Red crabs 🦀 live on the sand as no much people are there to disturb their .natural habitat”. I remember my own childhood days when we used to visit Chandipur beach (quite near to Balasore town) and used to see a lots of species of crabs but now a days they are no more because of human invasion and year after year they ate getting extinct from most parts of the world 🌎. It can be well imagined why I named it as a #virgin beach ! (This was a shot I took during last year 2016 summer holidays and it’s quite evident from the picture itself how tranquil is the place is . 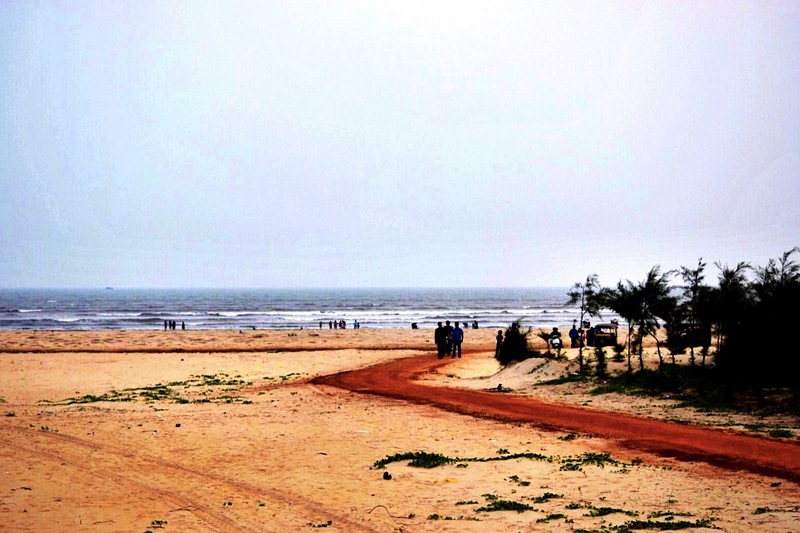 It is located on Bay of Bengal in Balasore district (Odisha) India and it is around 260km away from Bhubaneswar the capital of Odisha and also equidistant from Kolkata the capital of West Bengal. It is quite well connected by rail and road communication from any part of India.Particularly the journey from Gandhi chowk on NH6 to Dogra beach passing through Baliapal is awesome scenic, provided you are a nature lover and it’s full of greenaries like paddy fields and coconut plants on both sides of the road .People from all over India come to visit this Dogra beach for it’s scenic beauty and tranquility. 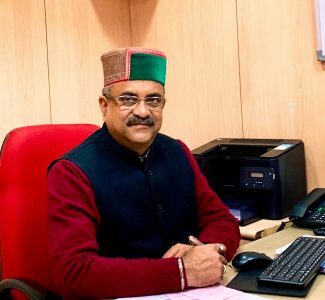 “I would appeal to all the tourists visiting virgin beaches like this “Dogra beach”to be extra careful to the habitat so that the millions of organisms those who thrive there won’t get extinct”. This planet 🌎 is for every living organisms it has produced so far….